Ready to discover the challenges and thrill of angling? Head straight to the source: Captain Rick Murphy. We promise you won’t be disappointed! Experience high-energy fishing adventures. Each episode provides entertainment as well as up-to-the-date fishing information with a focus on conservation. Sportsman’s Adventures with Captain Rick Murphy, saltwater’s prestigious fishing show, showcases new episodes highlighting a variety of fishing styles and sought-after species. Different locations and techniques featured every week. The show is hosted by Rick Murphy, a seasoned and highly respected licensed captain — and the all-time winningest saltwater tournament angler in the U.S. Celebrating its 25th year on the air, this is a “must-see” half hour for every outdoor fishing enthusiast. Capt. Rick Murphy has been fishing for adventure since he was 5 years old. A native Floridian, Rick grew up fishing in the waters off Key Biscayne and the Florida Keys, and honed his skills in the diverse habitats and shallow waters of Everglades National Park. Today, he is the all-time winningest saltwater tournament angler in the U.S. with 139 titles to date, and the only professional redfish angler to win three redfish titles in 12 months. He is also the only angler to win inshore and offshore saltwater championships in every category (bonefish, redfish, sailfish, tarpon, permit). 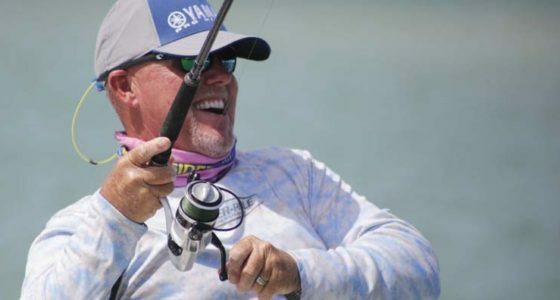 He has won the four Keys Tarpon Fly Fishing Tournaments (Ladies Tarpon Fly, Golden Fly, Don Hawley and Gold Cup), and has taken home Angler of the Year Honors from ESPN, FLW and IFA Redfish Tours. He is a South Florida Sailfish Circuit winner and twice was Master Angler Jimmy Johnson National Billfish Championship. He is a Legacy Member of Coastal Conservation Association and a contributor to the cause of preserving our oceans and their inhabitants. “Life is way too short to not do what you love. I wear many hats in the marine industry: TV host, spokesperson, professional angler and charter captain. Out of all my roles, guiding remains my favorite. It enables me to not only share my experience and passion for fishing, but also deliver the conservation message of angler’s rights and responsibilities first-hand.